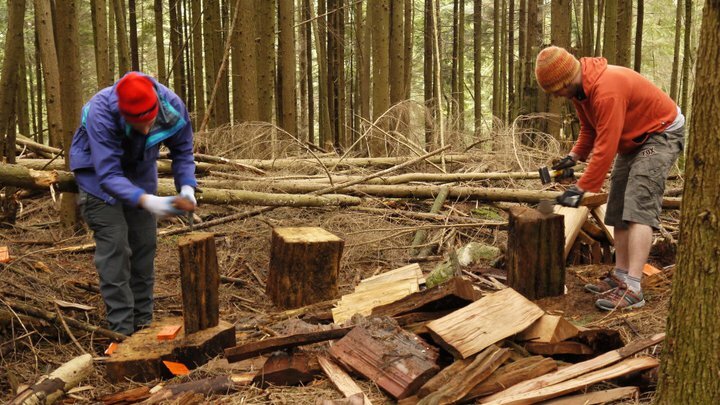 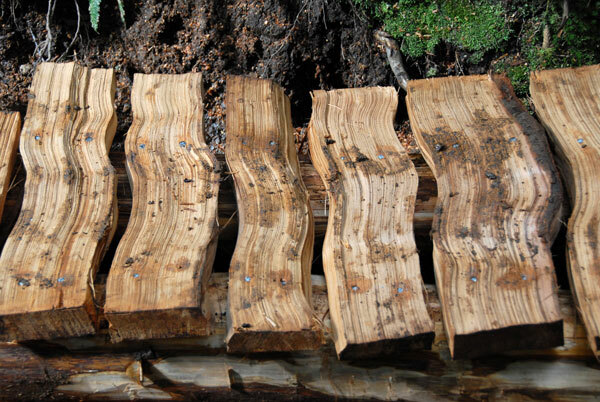 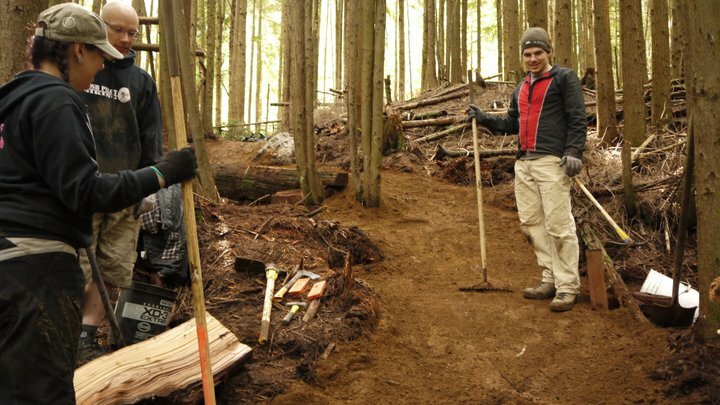 There are certain elements that, when appropriately combined in the right quantities, make a day spent building trails extraordinary. 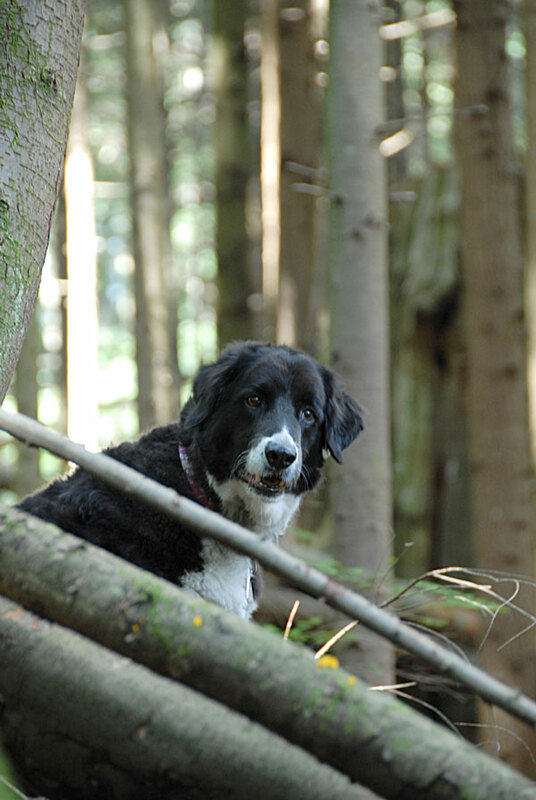 Waking up early Sunday morning and making my way over to the North Shore, I had a feeling today might be one of those days. 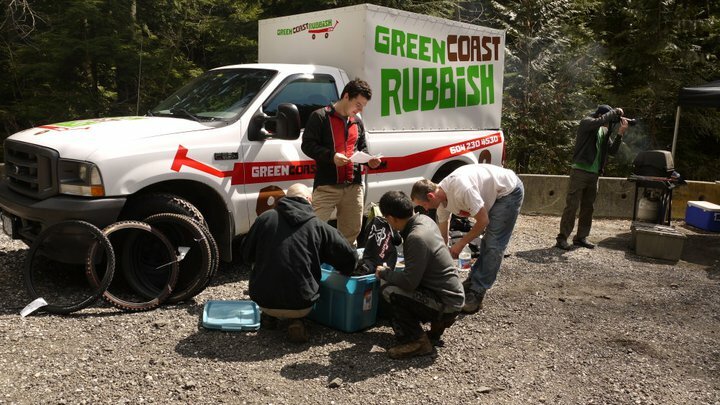 The clear skies overnight had left a chill in the air as I parked at the staging area, waiting for the first volunteers to arrive. 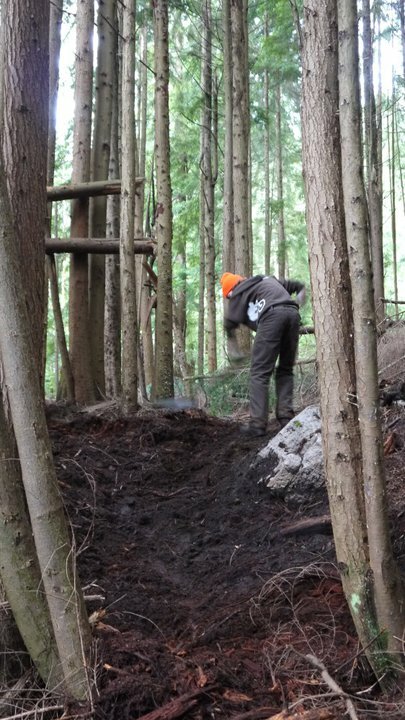 Cool and dry weather are one of those elements that make for a great day of building. 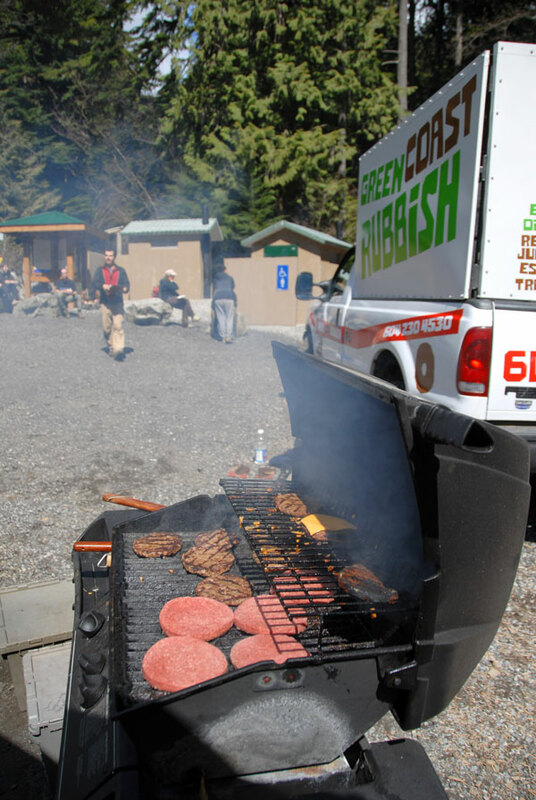 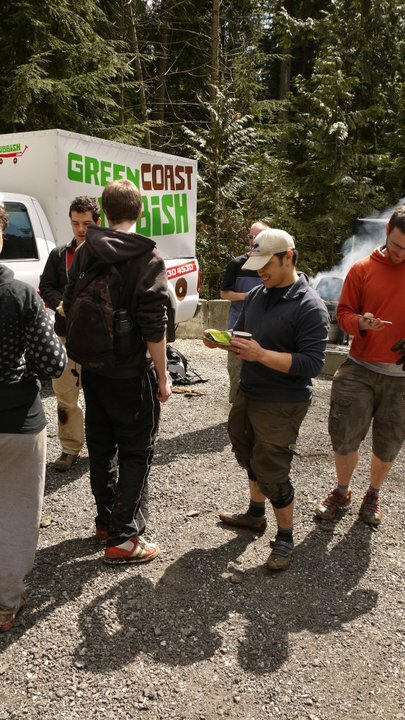 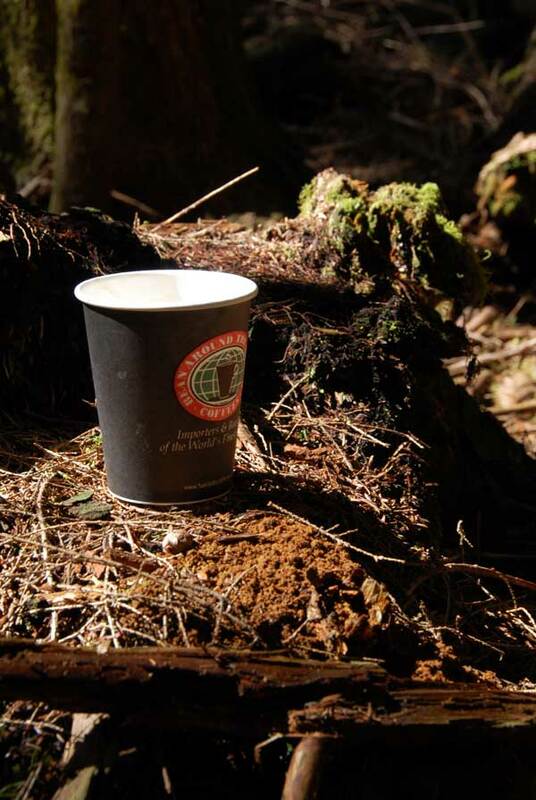 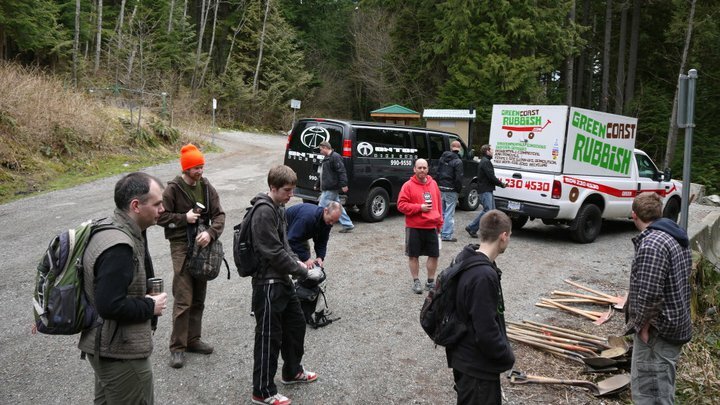 While the volunteers warmed up with coffee from Bean Around the World at Lonsdale Quay, Eamonn from Green Coast Rubbish and Johnny from On Top Bike Shop rolled up and started shuttling people up to the trail head. 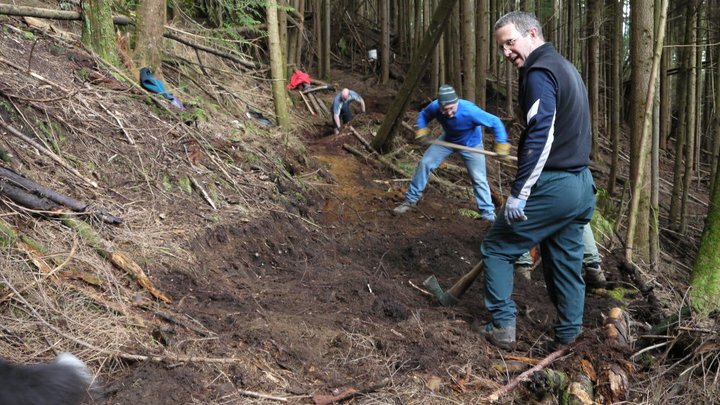 As people were signing in, I recognized the faces of seasoned and experienced trail day volunteers, but also the enthusiastic and energetic faces of those for whom today was their first trail day experience. 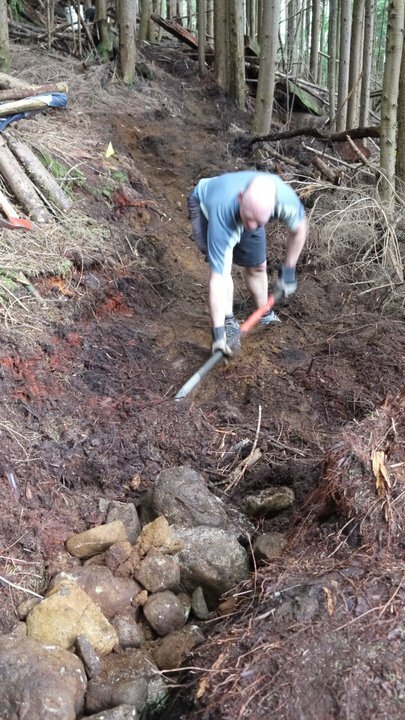 I was impressed, as the second critical element for a superb day was being fulfilled: A mix of skilled volunteers who know exactly what needs to be done, and excited but naive newbies who have no idea how much work they are about to do. 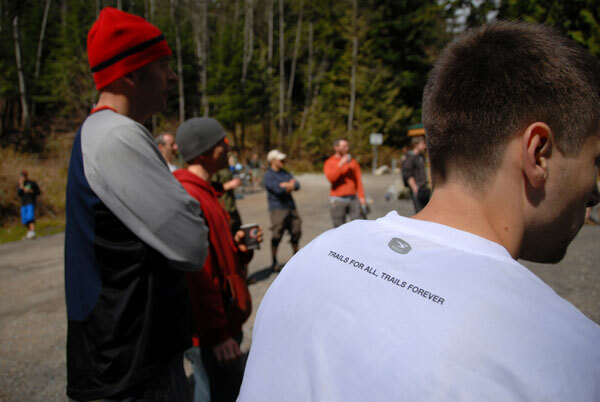 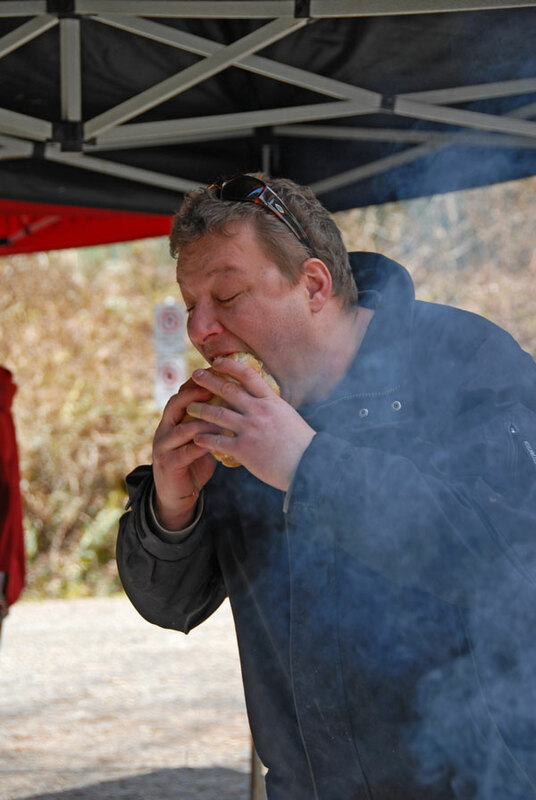 At the trailhead, the volunteers were met by Chris Barker and our amazing crew of trail day leaders. 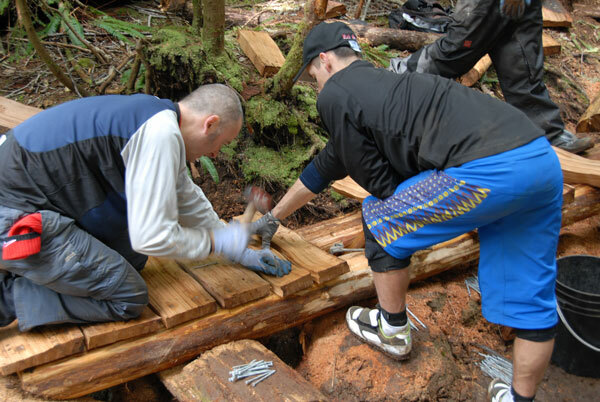 The volunteers were quickly formed into teams, each led by an experienced builder who knew what work needed to be done and how to do it, but most importantly, how to impart that knowledge onto the volunteers. 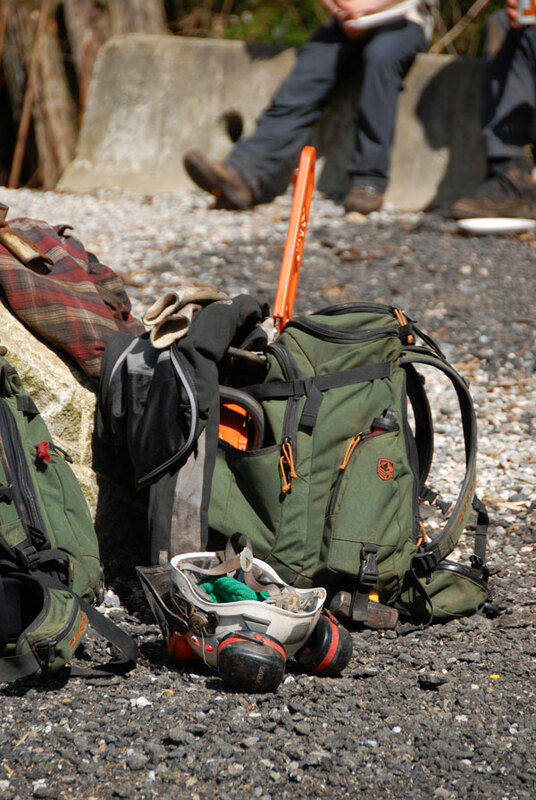 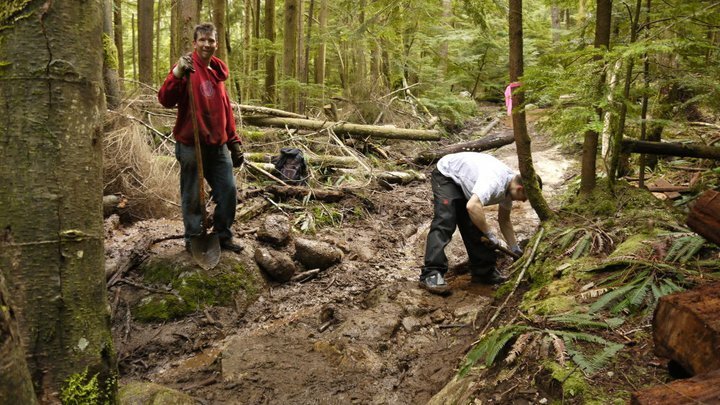 The amount of pre-planning and organization done by the leaders is another element that can be the difference between success and failure of a trail day. 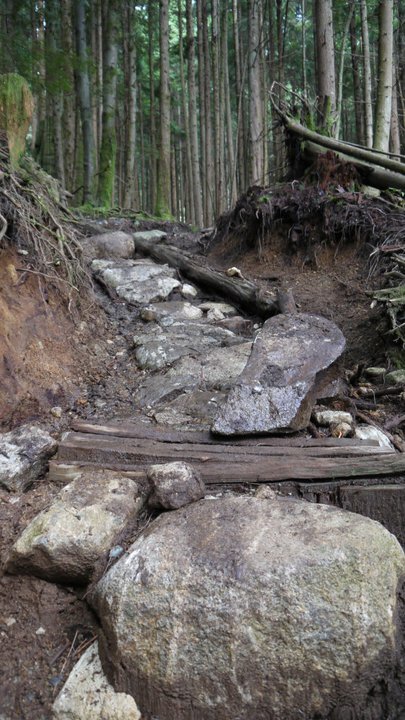 This section of Upper Griffen had not seen any maintenance in a long time. 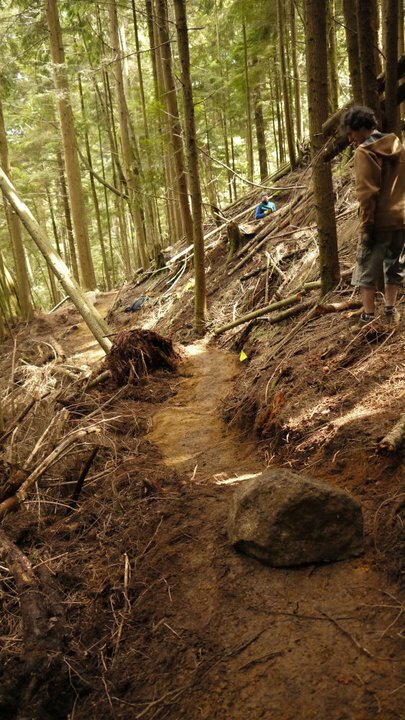 The combination of the trail dropping down a steep slope and water flowing down the trail from above have eroded the previous rock-work that used to keep this section solid. 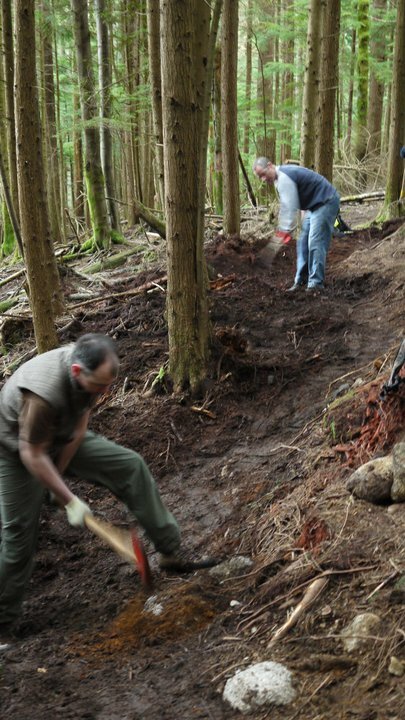 The best long term solution was to decommission the existing trail, and build a sustainable re-route. 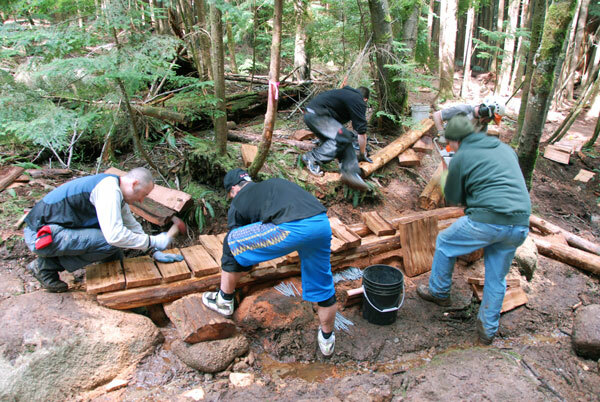 This rockwork was completed almost 10 years ago, but didn't stand a chance against the water flow. 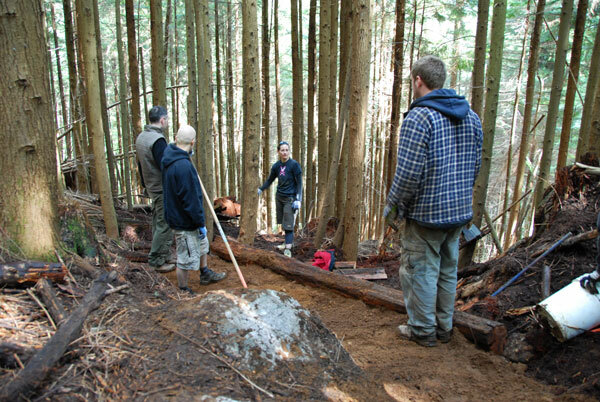 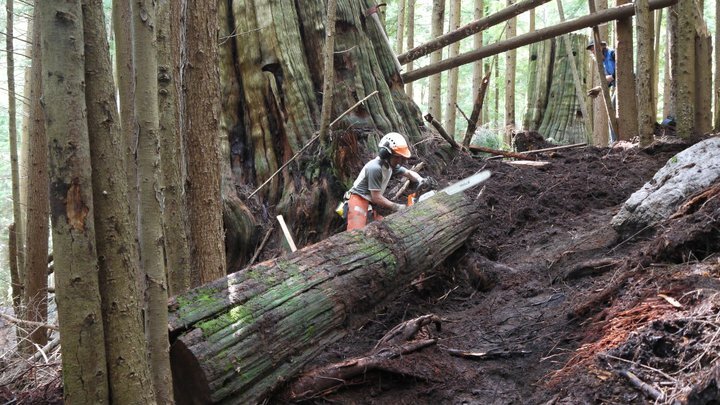 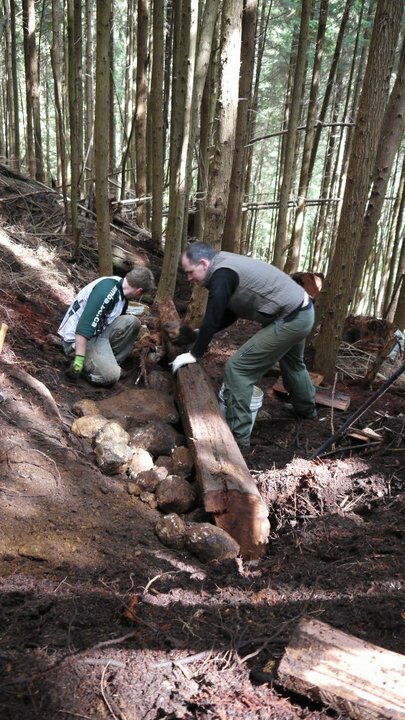 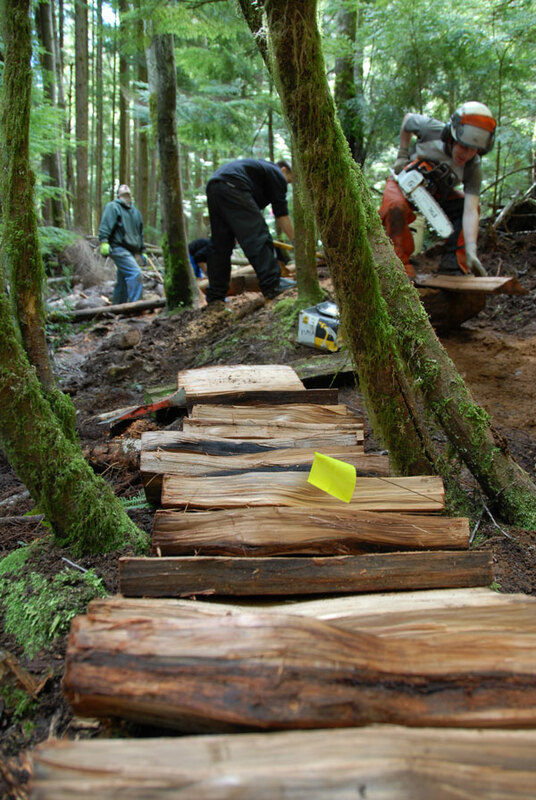 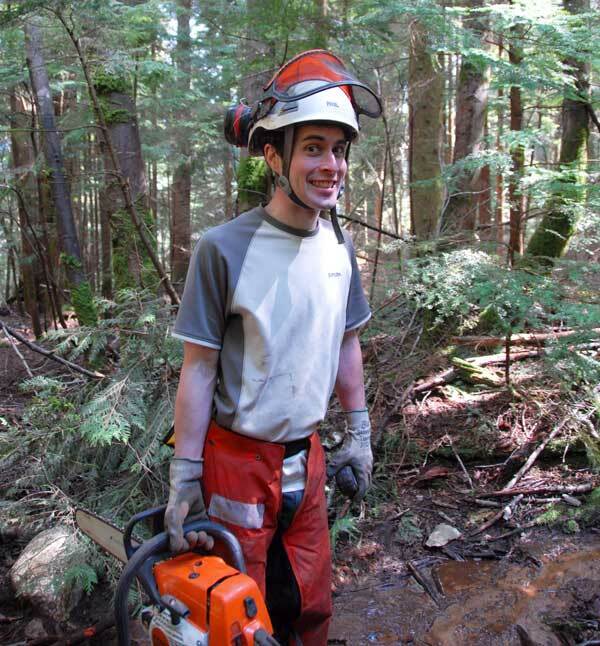 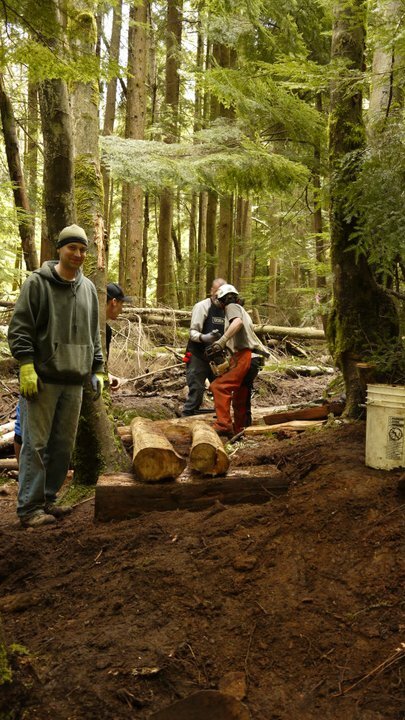 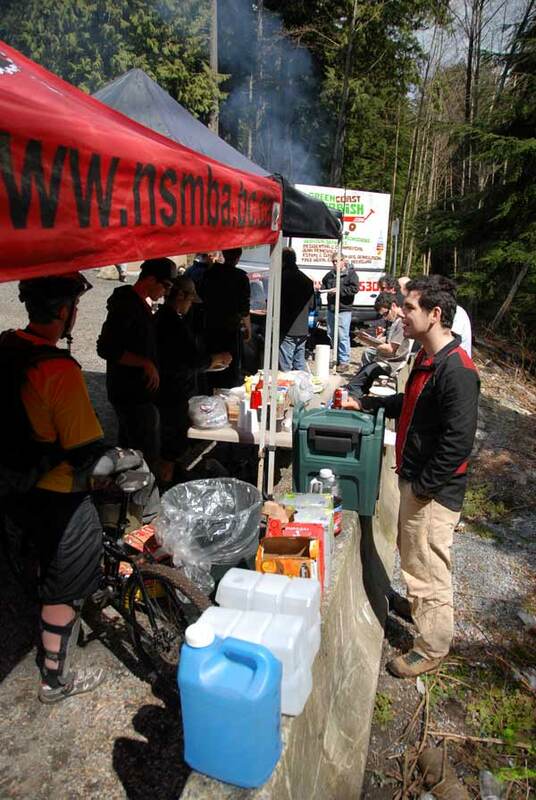 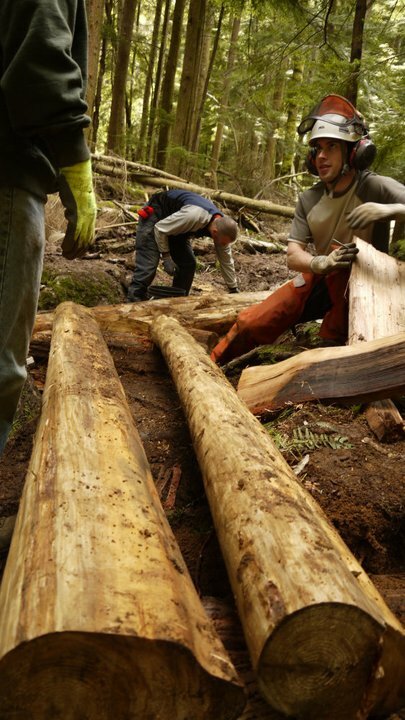 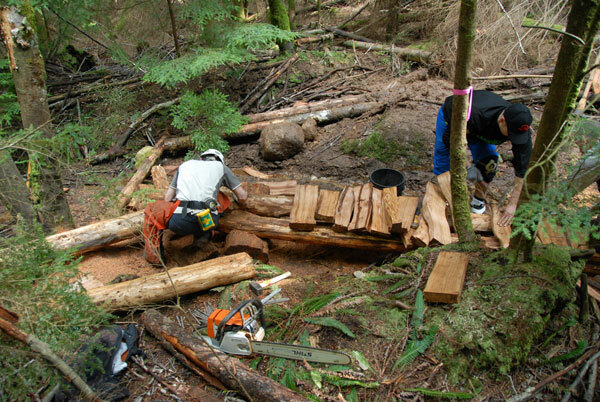 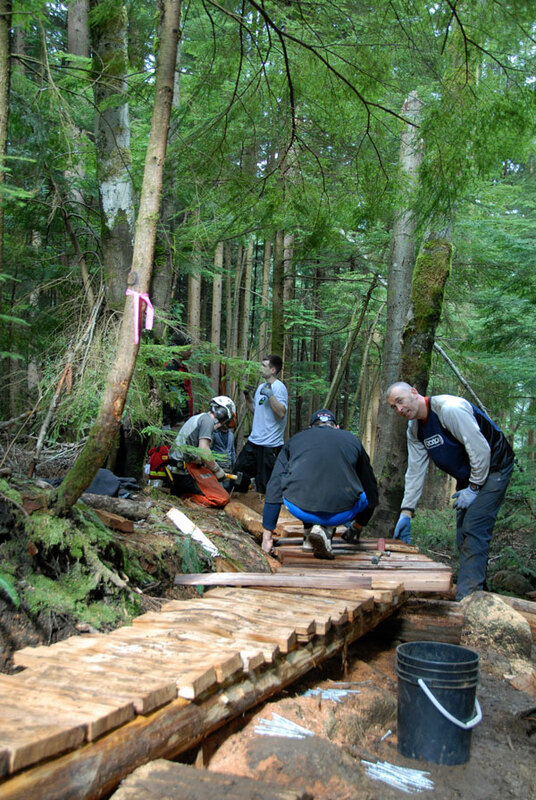 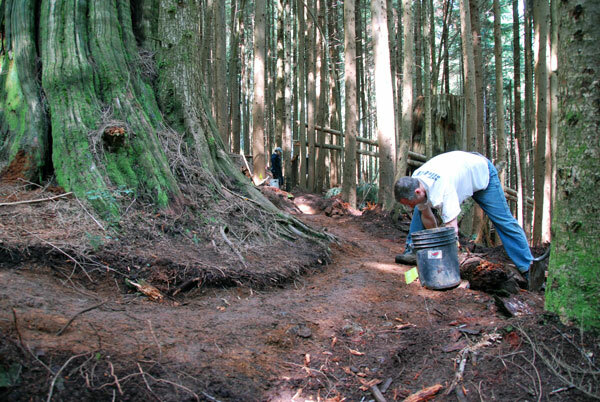 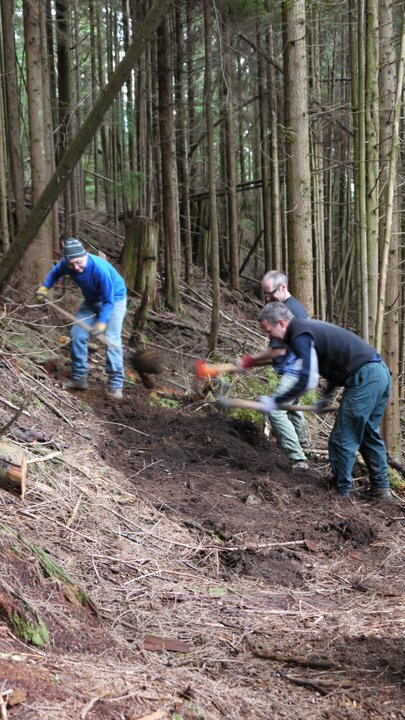 The alignment for the re-route was chosen by the DNV Trail Crew last summer. 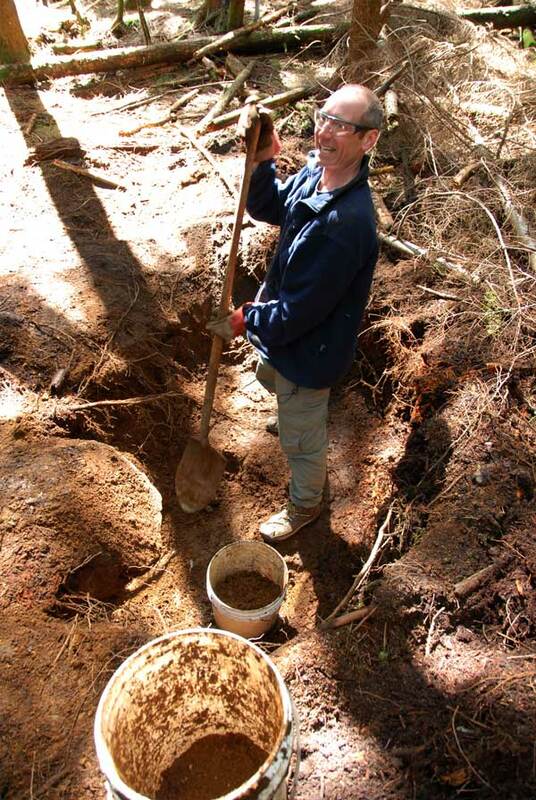 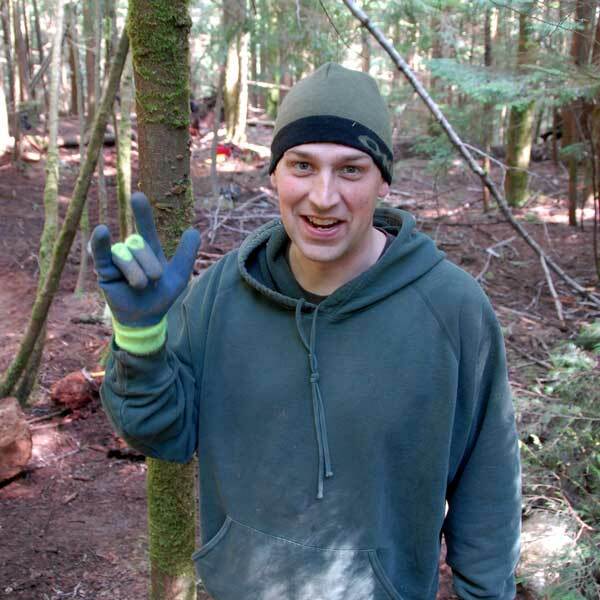 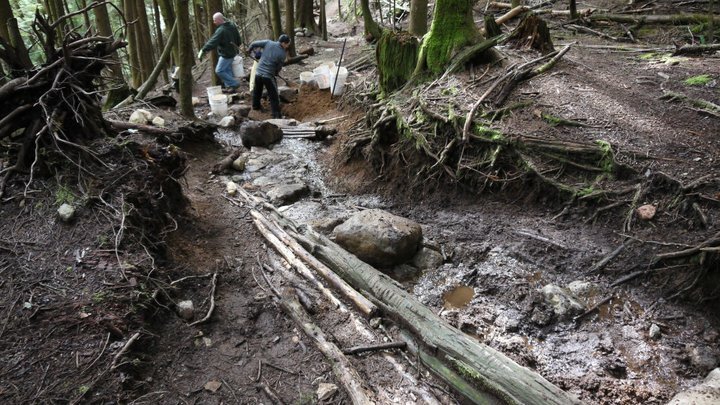 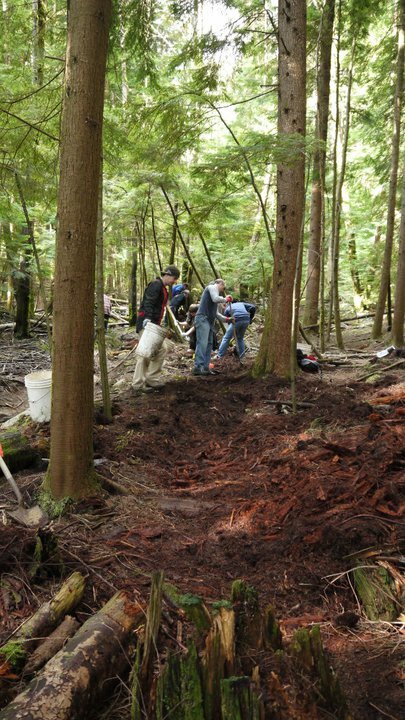 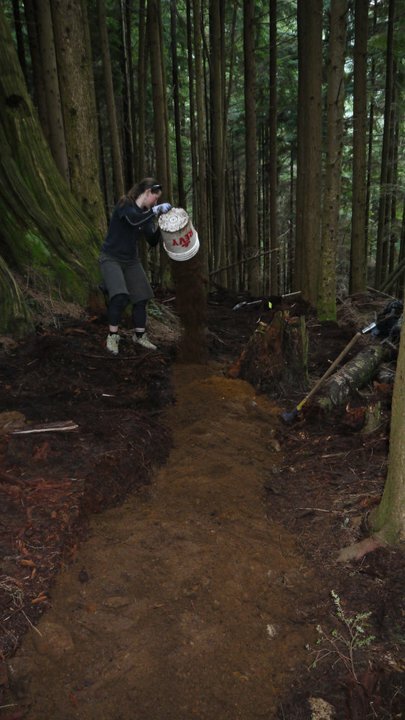 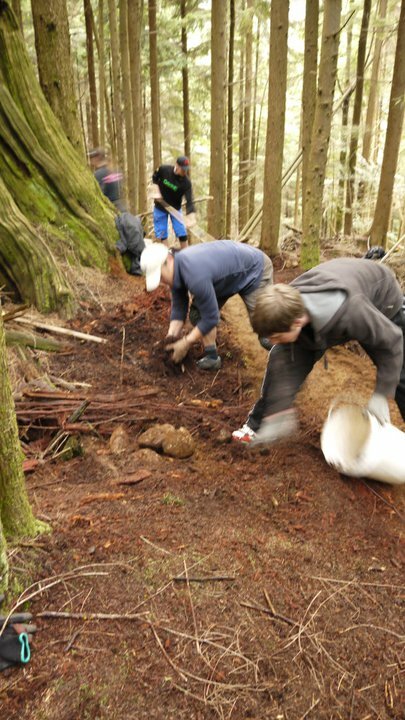 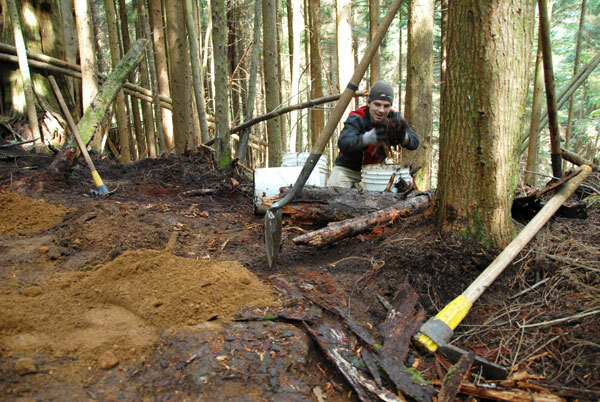 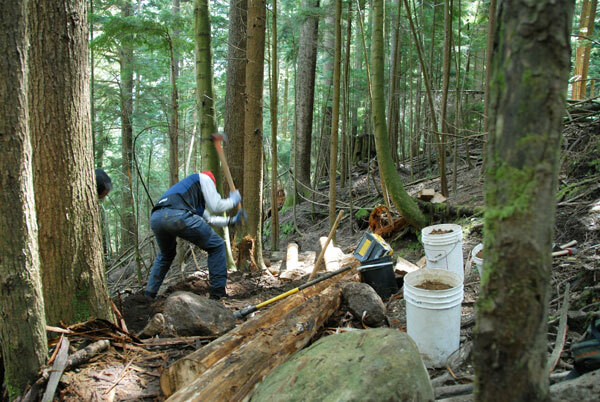 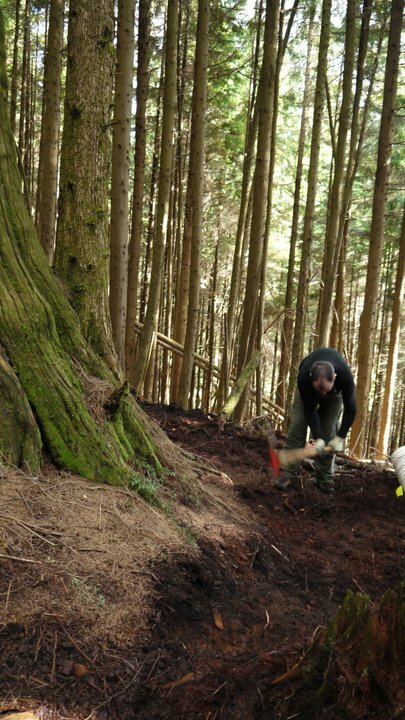 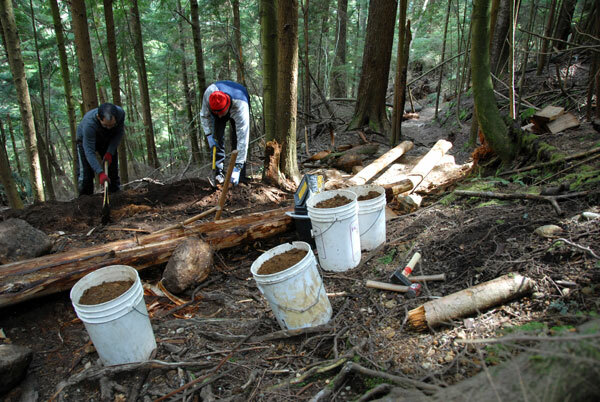 The volunteers were eager to get to work, and roughed in the trail by quickly removing the organic layer of soil. 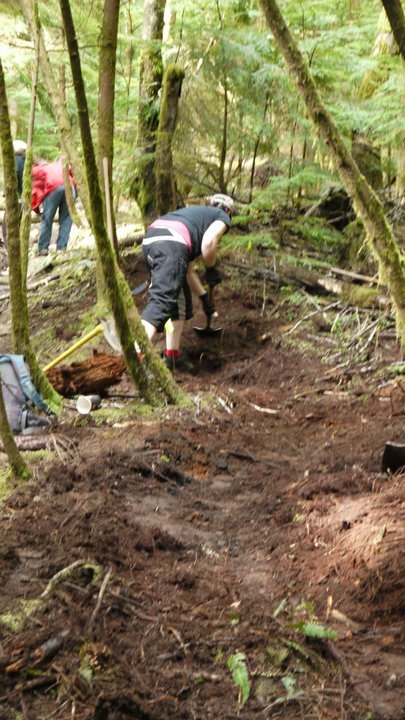 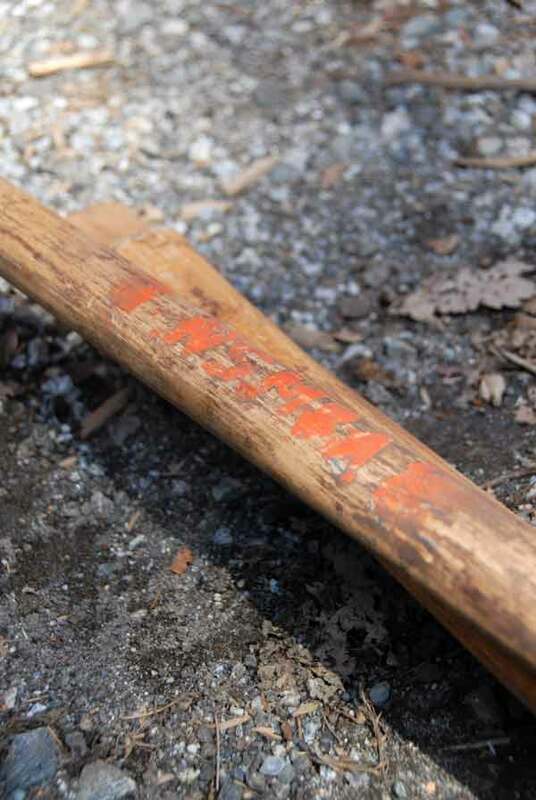 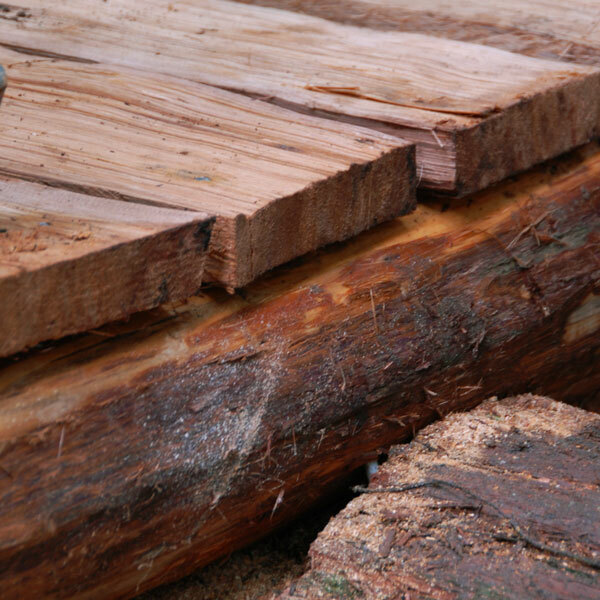 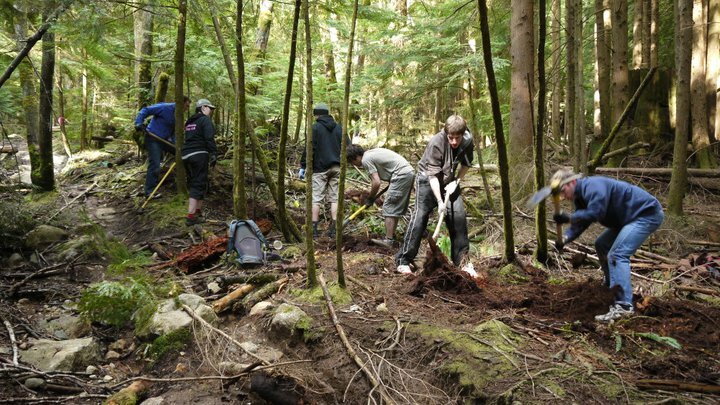 As one crew was roughing in the trail, another was searching for materials, the fourth key element of a great trail day. 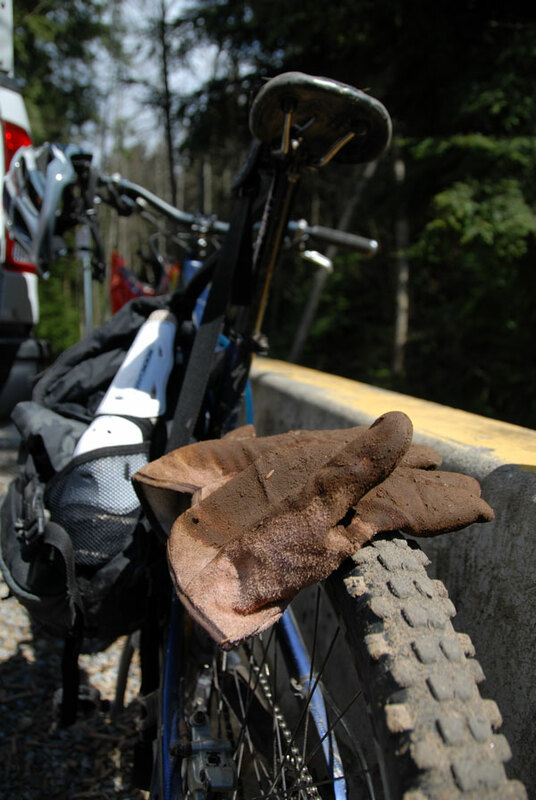 Rocks, dirt and wood are what build a trail, and thankfully all were plentiful nearby. 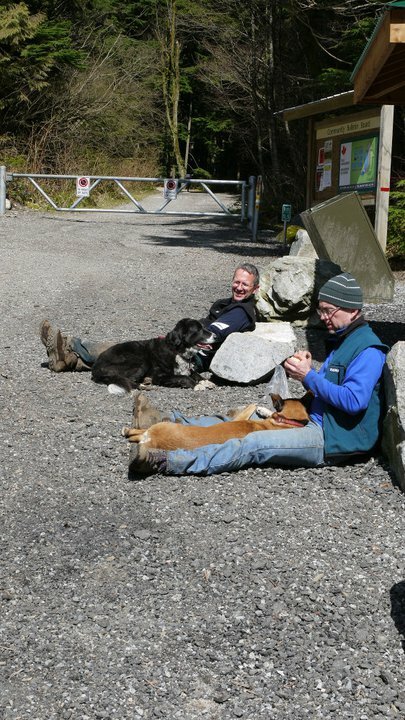 After a couple hours of labour, I could see that everyone was starting to feel a bit tired. 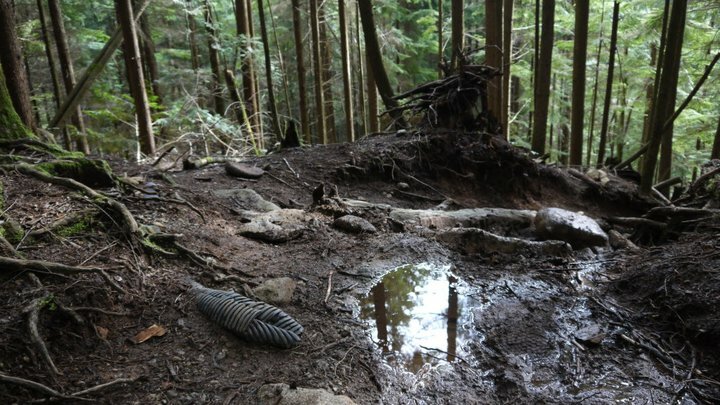 Just then a call came down the trail, lunch was ready! 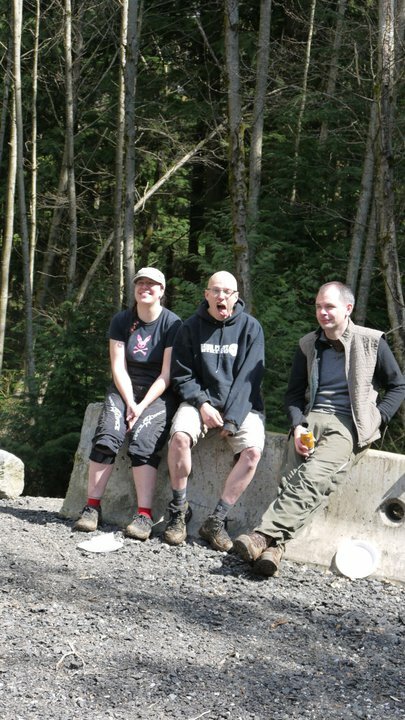 Even though they had been working hard, everyone was smiling as we hiked out of the trail to refuel. 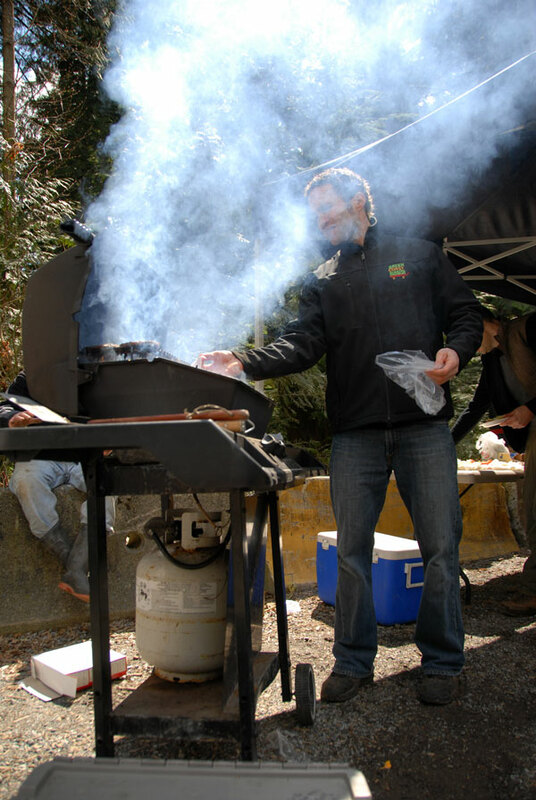 Eamonn and Johnny were cooking up a storm, and everyone was well fed. 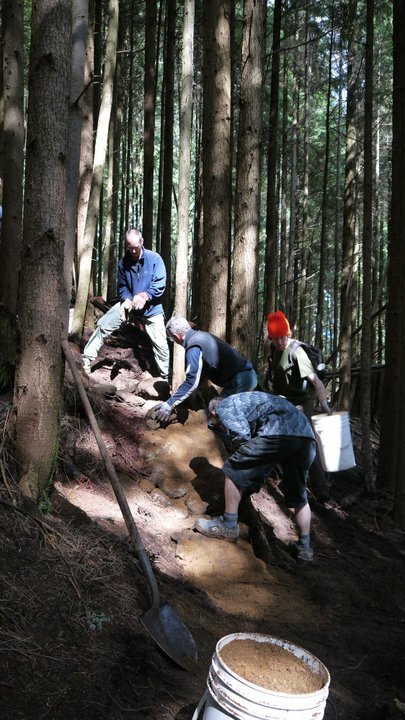 All the first time volunteers received a prize, and after a bit of a nap in the sun it was back down the trail to finish the job. 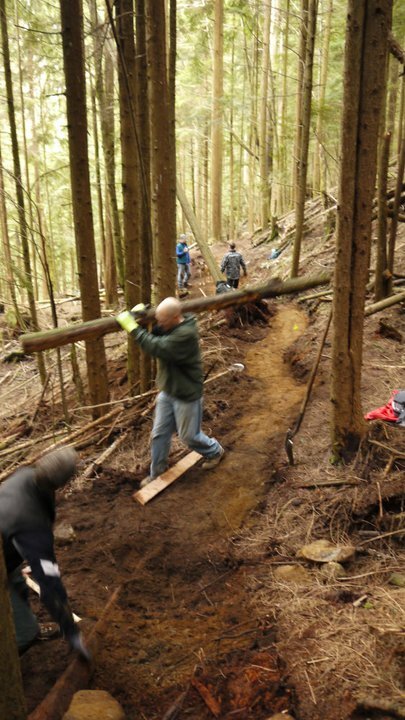 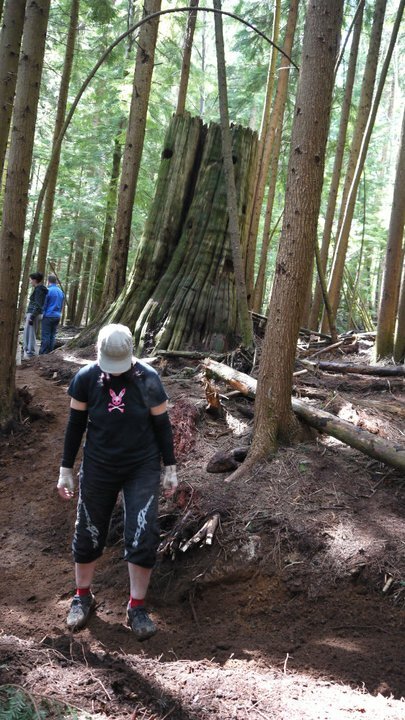 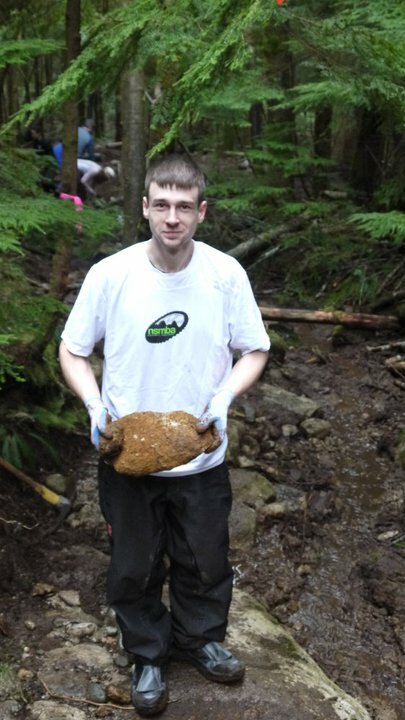 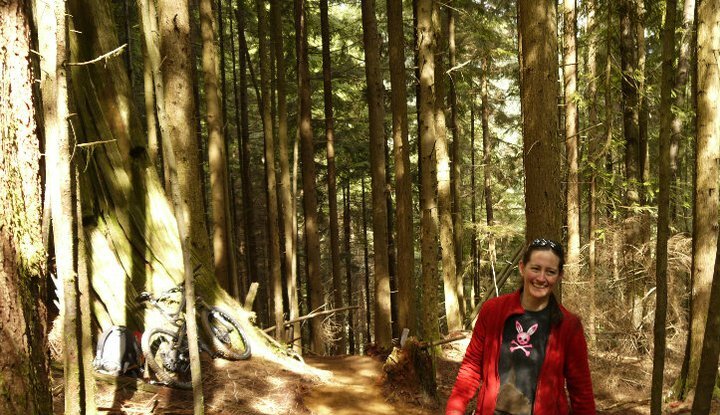 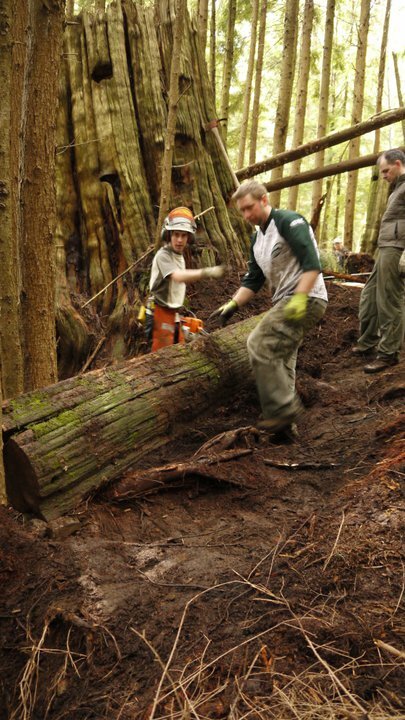 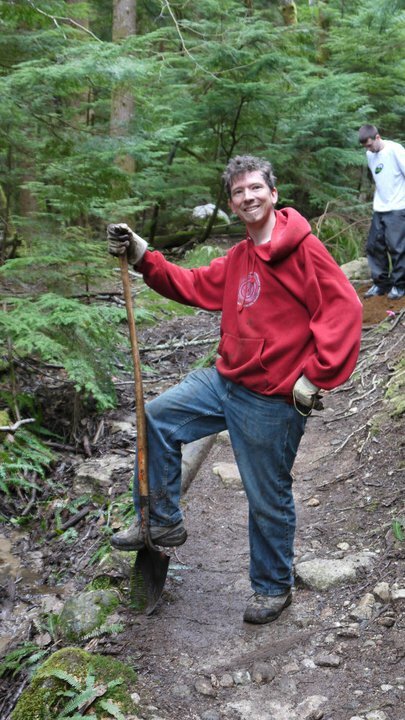 Happy volunteers are one of the best measures of whether or not a trail day is running well. 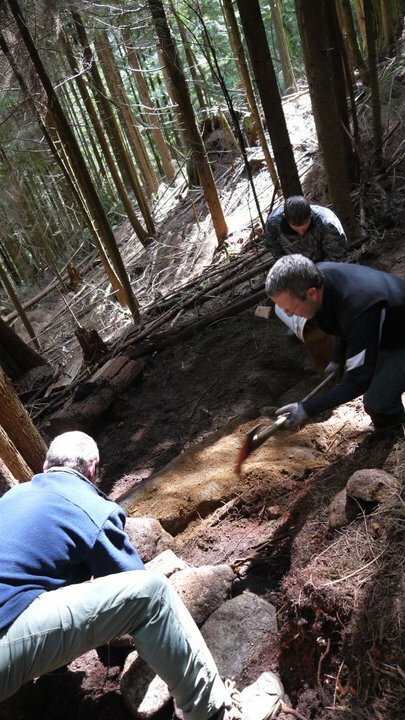 I don't think I was the only person who was inspired by the project underway. 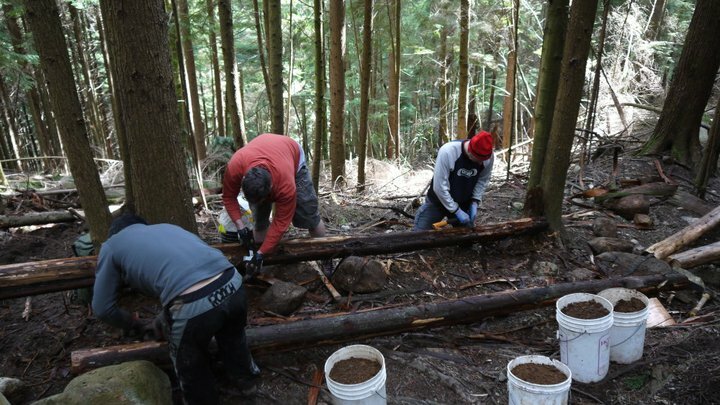 Along with the other key elements, that inspiration in our work kept the determined volunteers digging, hauling buckets, raking, rocking, and bridging all afternoon. 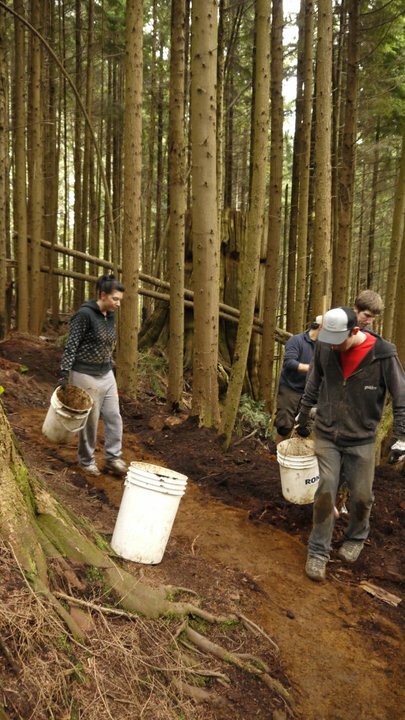 When we finally emptied the last bucket, hammered in the last nail, and stepped back to take stock of what we had accomplished, everyone was impressed and very proud of their efforts. 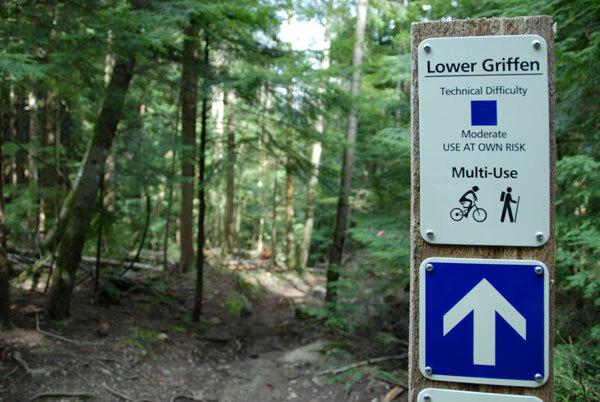 Ride the trail, and I think you will be too! 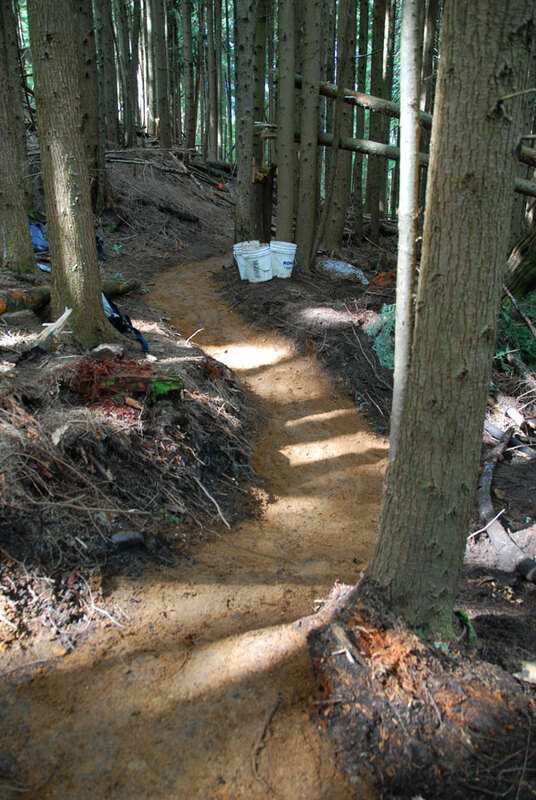 One section of the reroute completed. 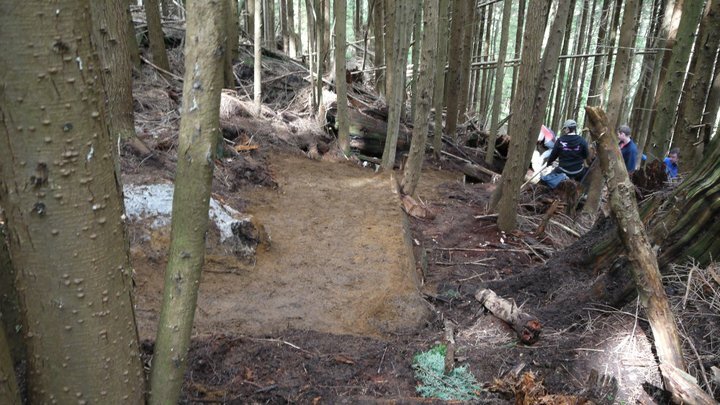 Check it out for yourself. 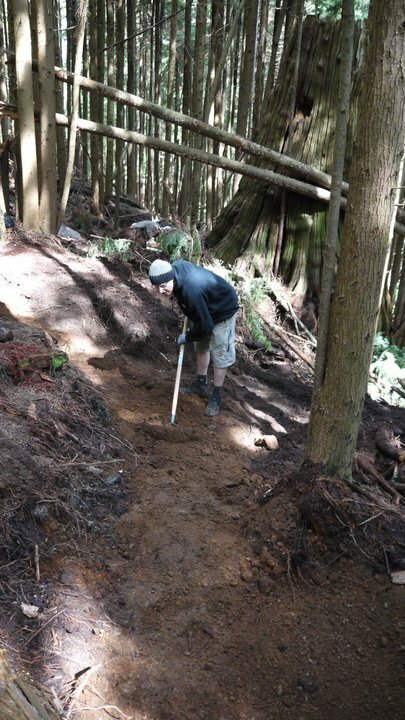 Of course, there's more to a trail day than I can put in words so I've included progress pictures of each of the mini-projects completed during the day. 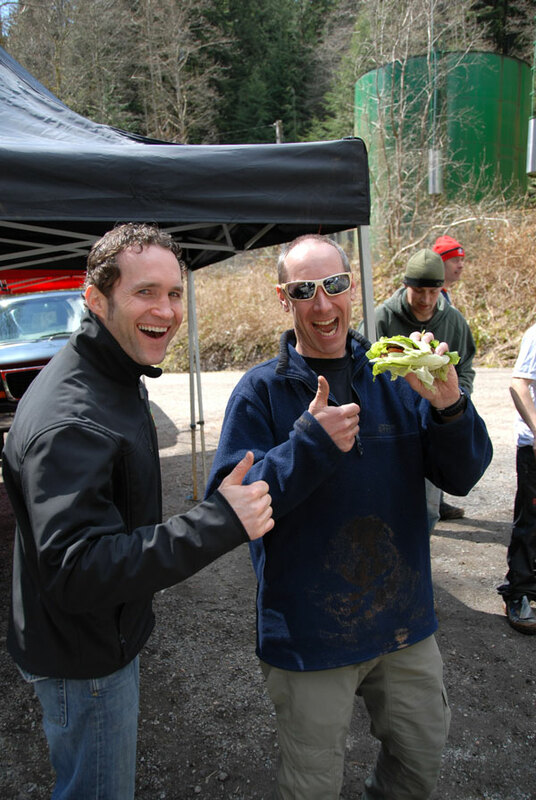 Just click on the picture and you'll be able to view a gallery of images from start to finish! 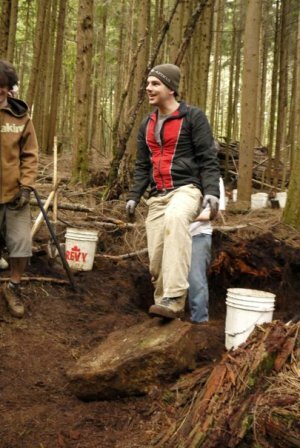 Other things you might have missed . . .